Kaufman, Michael J. 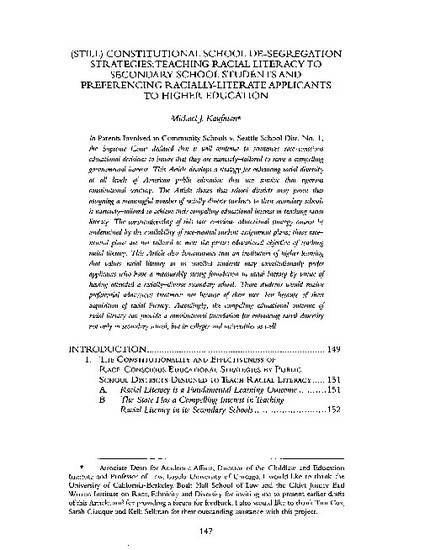 Constitutional De-Segregation Strategies: Teaching Racial Literacy to Secondary School Students and Preferencing Racially-Literate Applicants to Higher Education, 13 Mich. J. Race & L. 147 (2007).